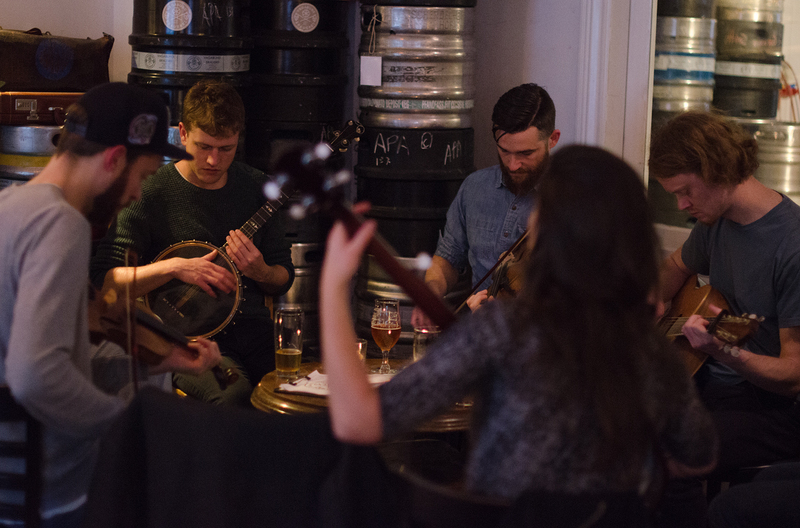 Think in Berlin you’ll only catch live banjo music at a Mumford & Sons’ show? Think again. 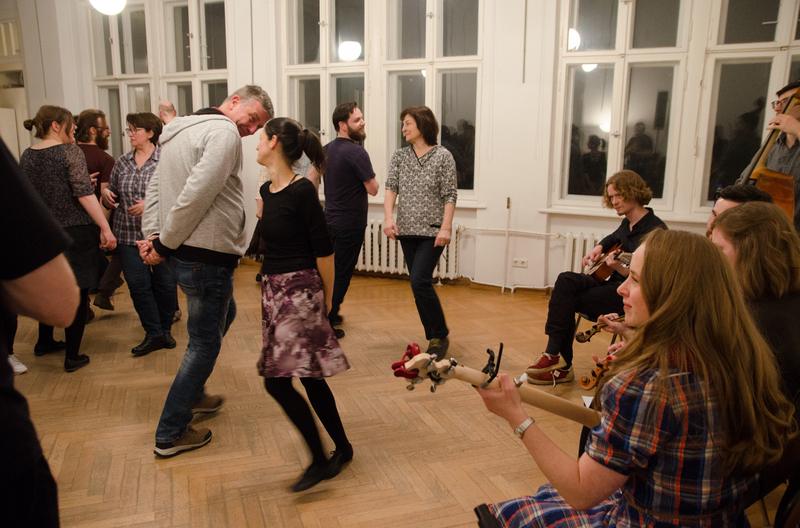 In fact, for a few years now, Berlin has harbored a small but thriving old-time music scene. 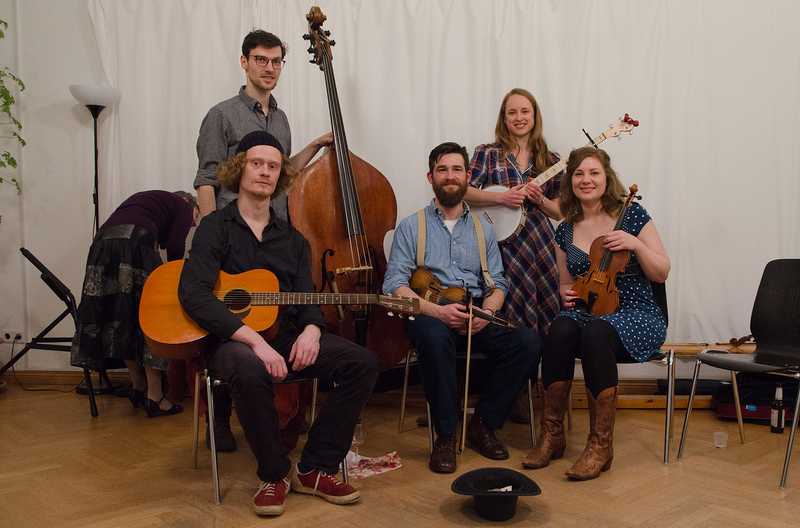 Nor is it all American expats exploring the sounds of Appalachia, barn dances and high lonesome traditional tunes. 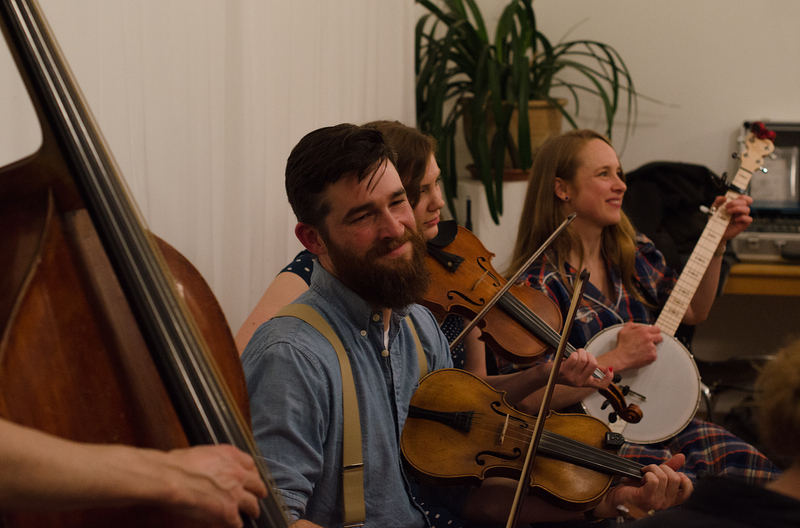 Brits, Australians, Germans, the occasional French musician, and a hodgepodge of other nationalities regularly meet up at the Berlin Oldtime Jam, an ever-changing constellation of folks coming together to enjoy this musical style. I first discovered the existence of this scene by chance, one fine March day in 2017. 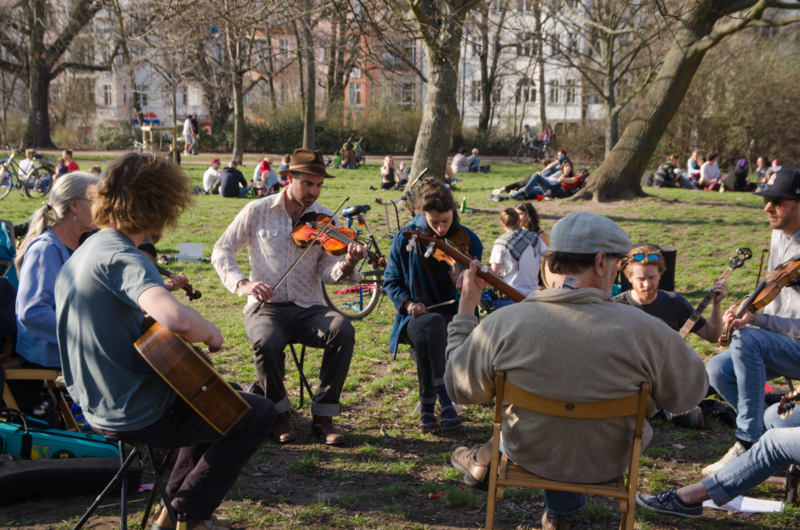 Strolling through my neighborhood’s Weinbergspark, I found two core members of the jam perched on a wall and playing some lovely tunes. Later that night, a couple friends and I went to check them out at a craft beer bar in Berlin-Friedrichshain, Vagabund Brauerei. The whole experience was utterly lovely and startling. What I did expect was to hear some nice music and imbibe. 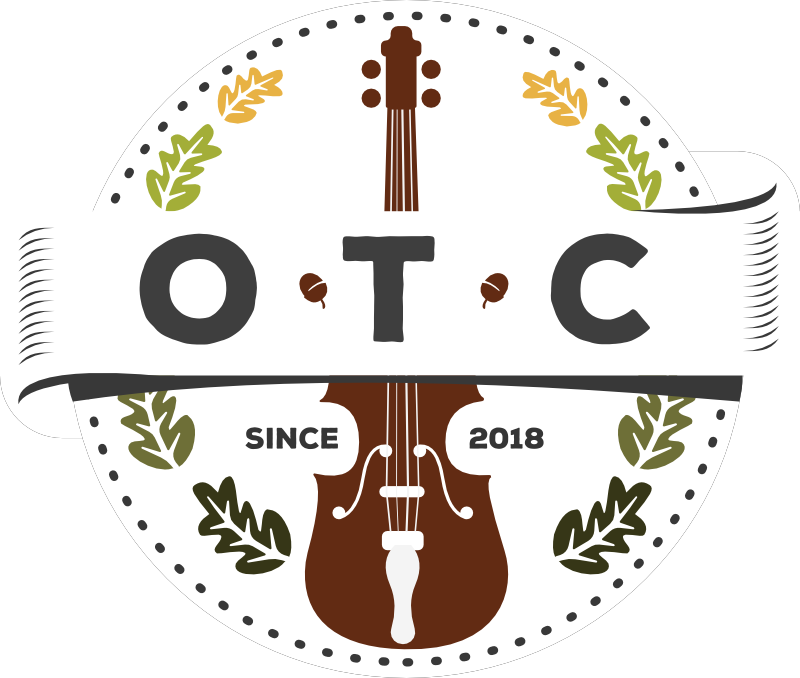 What I didn’t expect was to hear folk tunes from my childhood growing up with my father’sradio show, assorted bands, and my family’s frequent attendance at folk-music dances, camps, and festivals. And what I really didn’t expect, was for other young Berliners to be familiar with these obscure bits of Americana and sing along. The most moving moment of the night came last. In closing, the group struck up the Hazel Dickenstune “Won’t You Come And Sing For Me.” (If you don’t know the song, check out these versions by Dickens and Alice Gerrard, Mottle Tuttle and Luke Abbott, and Anna and Elizabeth.) The lyrics were fuzzy in my mind but there, twined with deep-rooted memories. Around me, other bar patrons started singing softly, and in shock and profound emotion, I joined in. I can’t entirely express what it meant to hear a piece of music I so closely associate with my quirky family, affirmed and suddenly taking on new dimensions, five thousand miles from home. Expats will know that sweet, overwhelming tightness in the chest, the heavy happiness all mixed up with keen longing. At any rate, after that session I was hooked, dropping in on various jam meetings to soak in nostalgia and simply enjoy the music. 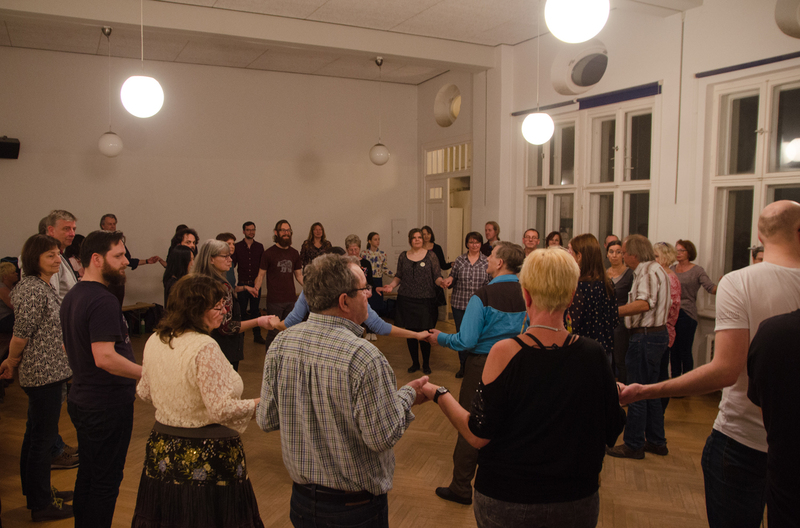 Aside from their frequent get-togethers at the Vagabund Brauerei, the group has branched out into playing live for old-time dances (contra and square dance styles). At one such event in my neighborhood, it was the dance caller who most astonished me. Hans Krakau, as I later learned, is a German caller specialized in traditional American folk dancing, which leads to a fascinating communicative mix. While initial instructions may be given in German, he makes liberal use of English terminology and also favors English for the calls themselves, which in their established forms often have a rhythmic or even rhyming character and so are not seamlessly translatable. “You promenade that lady fair, you promenade her ’round the square,” for example. The special sense of deja vu, of worlds colliding – German accents, German architecture, my Berlin life, and yet the music and words embedded in childhood experiences, the familiar garb worn especially by the older participants – swirling, flowy skirts and dance shoes on the women, silvery ponytails and vaguely rustic materials on the men – it was like closing my eyes in Berlin and opening them at Seattle’s Folklife Festivalsome twenty years ago. Strange and delightful. 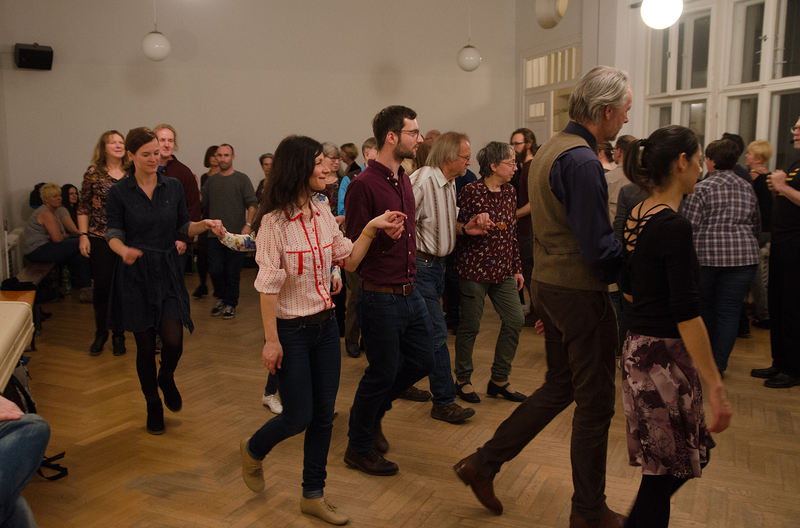 Chatting with Herrn Krakau, I learned that the old-time dance scene is well-established in Germany, though there has been an evolution from a previous flavor drawing more strongly on Germany’s own folk traditions towards the distinctly American styles. I never would have guessed. 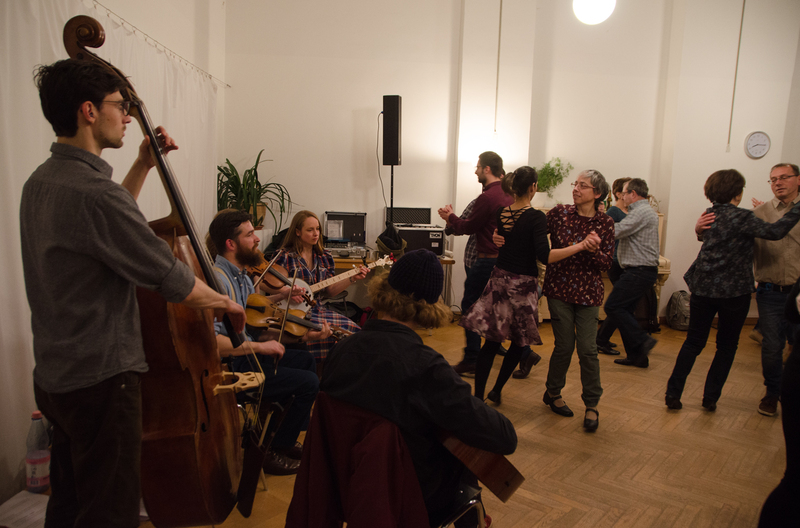 Hearing this music over here, I always have to smile, both for the sheer improbability of it and for imagining what my bratty adolescent self would say if she knew I would grow up, lead my independent urban life and freely choose to go hang out at contra dances. But of course, age as well as distance are excellent teachers when it comes to appreciating your own roots. Someday I’ll trace the growth of this scene, conduct deeper research and talk to older participants, learn how this particular tree came to flourish in foreign soil. But for now, I’m merely grateful and happy to enjoy it. The bubbling-brook dance of a quick-fingered banjo player, the sweet-singing mandolin, the capacities of the fiddle to be vastly evocative and plaintive one minute, irreverently merry the next. I’m glad to have found these sounds thriving here. As one bumper sticker on my dad’s car proudly proclaims: Old-Time Is Not A Crime.